Sony Interactive Entertainment Hong Kong Ltd Singapore Branch (SIES) announced today at the PlayStation®VR Asia Conference that PlayStation®VR (PS VR), a virtual reality system that takes PlayStation®4 (PS4™) system to the next level of immersion, will be available on October 13, 2016 in the Philippines, at the suggested retail price of PHP 22,900. The PlayStation®VR and PlayStation Camera bundle will also be available in the Philippines at a suggested retail price of PHP 25,290. 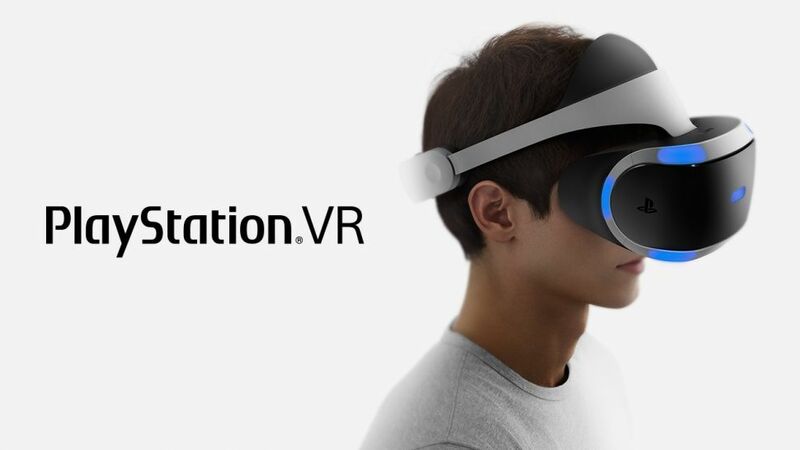 More than 60 PS VR software titles are confirmed to be launched in Asia*, and 13 of those titles are developed by local developers including Mortal Blitz VR (SKONEC Entertainment Co., Ltd) from Korea, Stifled (Gattai Games) from Singapore, and O! My Genesis (XPEC ENTERTAINMENT INC.) from Taiwan. SIES also announced that pre-order of PlayStation VR will be available at selected Sony Centers and PlayStation® Authorized Dealers from July 30, 2016. Customers can preorder PlayStation®VR or PlayStation®VR with PlayStation®Camera, while stocks last. (SM Megamall) EDSA Corner J.Vargas Avenue, Mandaluyong City (02)638-3767 10:00a.m. – 10:00p.m. (SM Mall of Asia) 2nd level north wing area, SM mall of Asia, J.W. Diokno Blvd, Pasay (+63)9985413699 10:00a.m. – 10:00p.m. (SM North Annex) Unit 538 5/F Cyberzone Annex, SM City North E. De Los Santos Ave., Sto. Cristo, Quezon City (02)355-5406 10:00a.m. – 9:00p.m. (Vmall) V-352 V-Mall Bldg. Greenhills Shopping Center, Greenhills San Juan City (+63)9267225360 10:00a.m. – 9:00p.m. (SM Megamall) Unit 006A SM Megamall — Bldg. A EDSA cor. Dona Julia Vargas ave. Ortigas Center Mandaluyong City (02)6388695 / (02)6361822 10:00a.m. – 9:00.pm. (SM Aura) Level 4 – 429 SM Aura Premier McKinley Parkway Brgy. Fort Bonifacio Global City, Taguig (02)8479691 10:00a.m. – 9:00p.m. (Glorietta 4) Unit 336, Third floor Glorietta 4 Ayala Center, Makati City (02)8154125 10:00a.m. – 9:00p.m. A free PlayStation®VR Demo disc will be available at both Sony Stores and PlayStation Authorized Dealers, allowing PS VR owners to enjoy a variety of exciting content from the first day of purchase. Phantom World VR Beijing Phantomisreal Technical Co., Ltd. Ace Banana OASIS GAMES LIMITED. Pixel Gear OASIS GAMES LIMITED. DYING Reborn OASIS GAMES LIMITED. Weeping Doll OASIS GAMES LIMITED. The Occasional Encounter USERJOY Technology Co., Ltd.
Unearthing Mars WINKING ENTERTAINMENT INC.
O! My Genesis VR XPEC ENTERTAINMENT INC.
RESIDENT EVIL(R) 7 biohazard CAPCOM CO., LTD.
Hatsune Miku VR: Future Live SEGA Games Co. Ltd.
Hatsune Miku – Project DIVA-X HD SEGA Games Co. Ltd.
Cyber Danganronpa VR The Class Trial Spike Chunsoft Co., Ltd. FINAL FANTASY XV SQUARE ENIX CO., LTD.
Rez Infinite Enhance Games, Inc.
HARMONIX MUSIC VR Harmonix Music Systems, Inc.
Littlstar VR Cinema Little Star Media, Inc.
BATMAN: ARKHAM VR™ Warner Bros. Entertainment Inc. The Music Room Chroma Coda Pty. Ltd. THE PLAYROOM VR WWS Sony Interactive Entertainment Inc. Previous story John Cena vs Big Show added to WWE Manila Live!